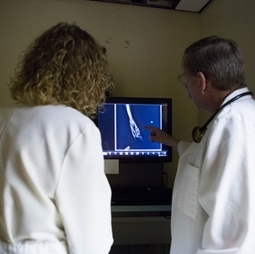 At the Care Center Hospital for Animals we have the ability to use both X-ray and Ultrasound technology for diagnostic treatment. These two imaging tools can be key in diagnosing and treating internal medical issues. Both X-ray and Ultrasound are non invasive and can usually be performed while your pet is still awake.